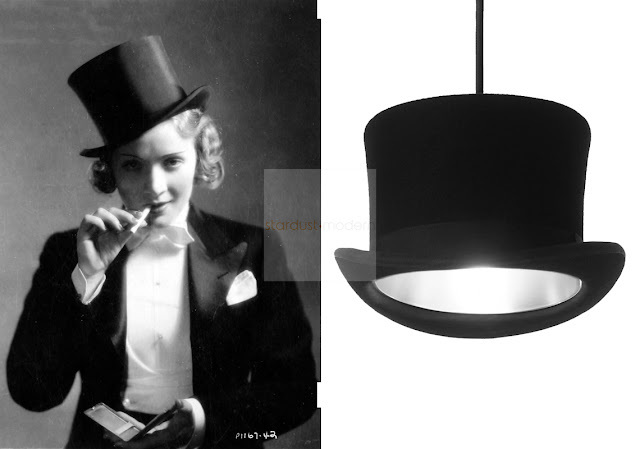 WOOSTER INNERMOST PENDANT SHADE - Dance on Air! 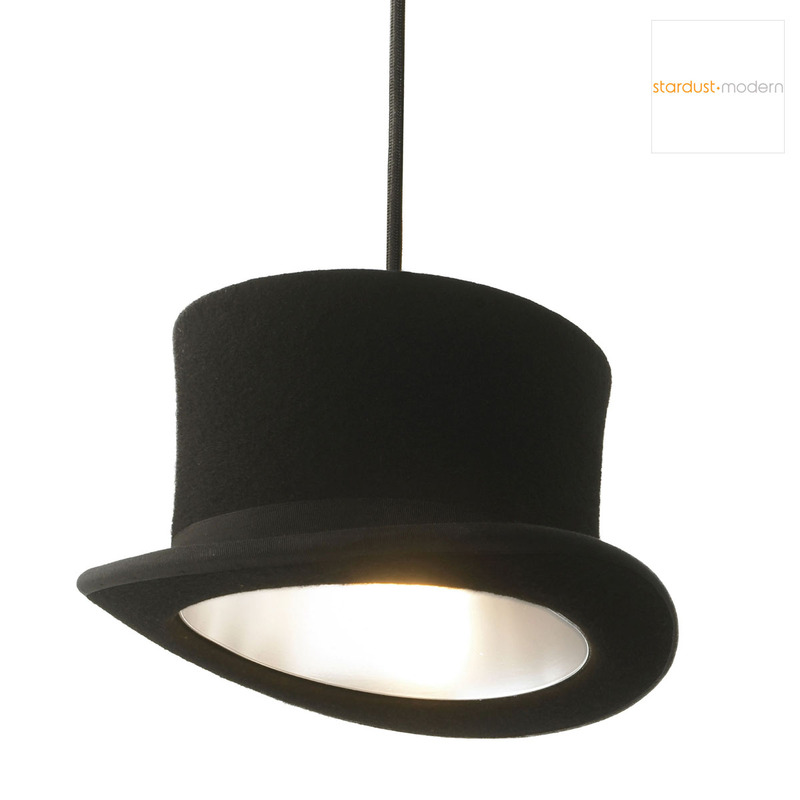 Innermost Wooster top hat pendant lamp by Jake Phipps design; the classic yet contemporary design pedant with light at Stardust! The striking Wooster Pendant Lamp was designed by British designer Jake Phipps for Innermost. 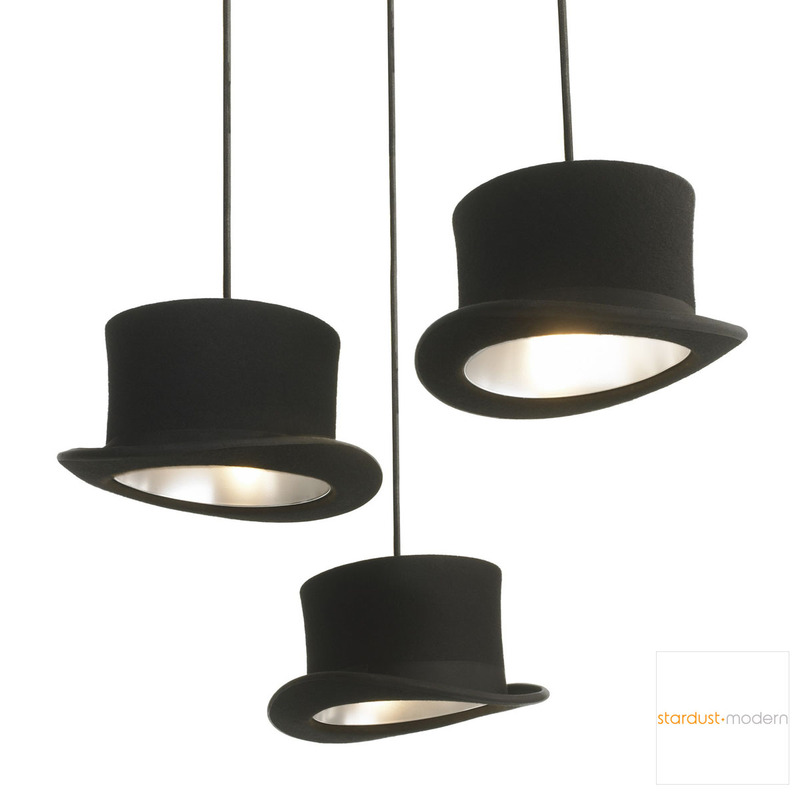 We just adore these wonderfully quirky pendant lights - a great statement of class and eccentricity! Inspired by the classic top hat, our Wooster and Jeeves Pendant Lights are made by hand from wool felt and reinforced with an aluminium lining in a gold (Jeeves) or silver (Wooster) finish. 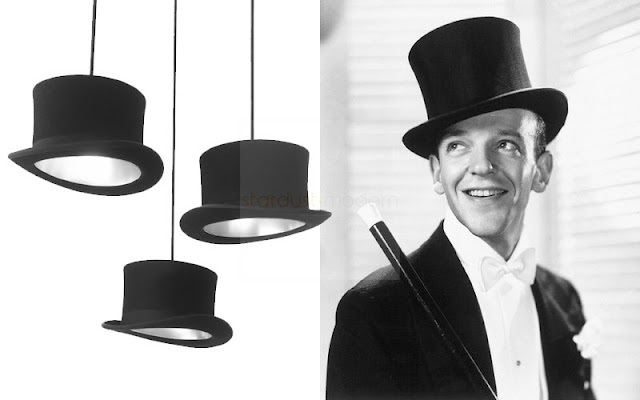 Both pendant lights are designed by Jake Phipps as a playful take on lighting with a real sense of cultural identity. The hat is an object that often associates its wearer with a particular society, heritage or race. The top hat is a classic cultural icon reflecting a bygone era of style and eccentricity. A good reference point is debonaire hoofer Fred Astaire and graceful Ginger Rogers in the Oscar-nominated film "Top Hat" from 1935. Or, Morocco starring Marlene Dietrich and Gary Cooper from 1930.